4. 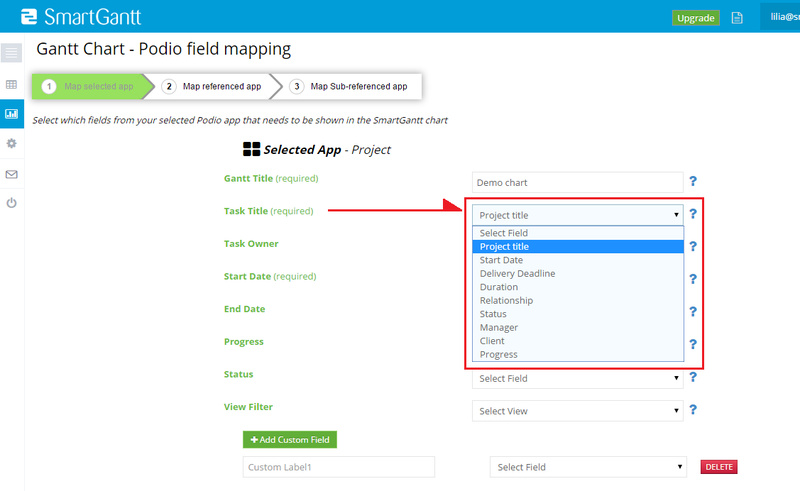 Map your main app by matching the fields from the app that you want to show in your chart, to the different SmartGantt fields. Title and start date is required. 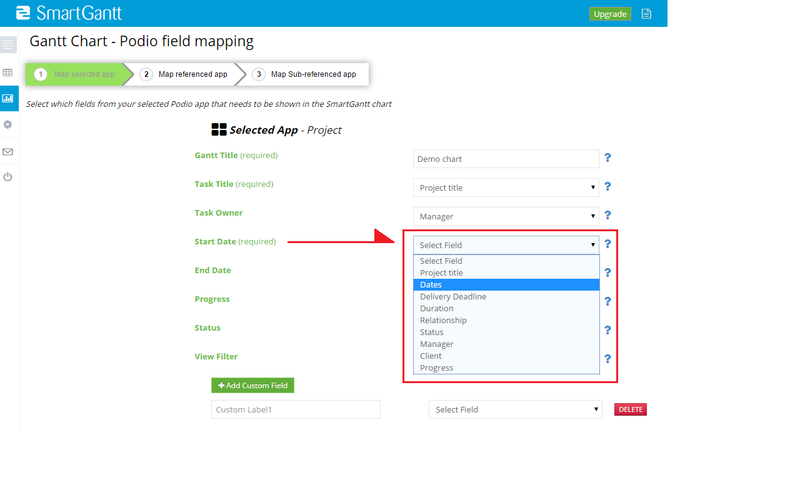 Be aware that your application may contain other field names than those of SmartGantt. Title – Give your chart a name. This will appear at the top of your chart, and in the menu of different charts. 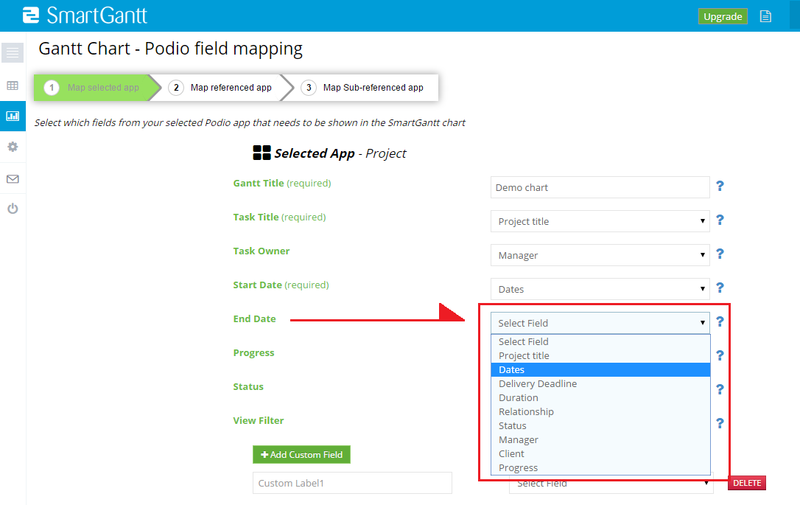 Task Title – Choose the name of the Task or Milestone. This functions as the name of each item displayed in your chart. This information will appear in the side panel overview, and inside the individual bars in the chart. 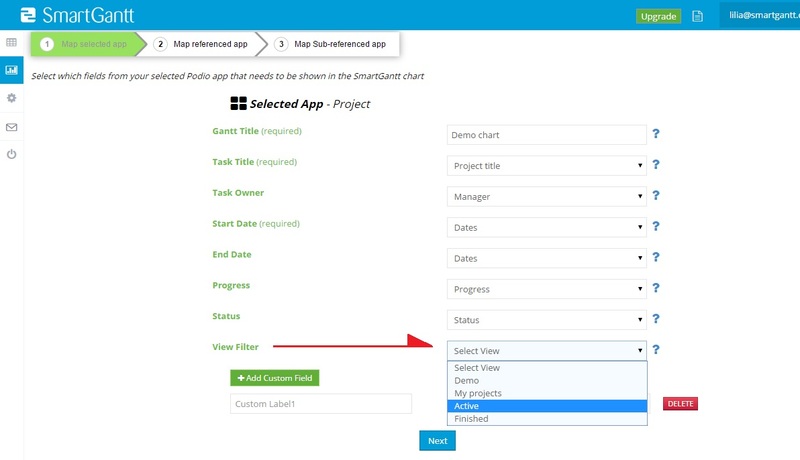 Task Owner – Option to show the owner/responsible/team of each item. This information will appear inside the bar. 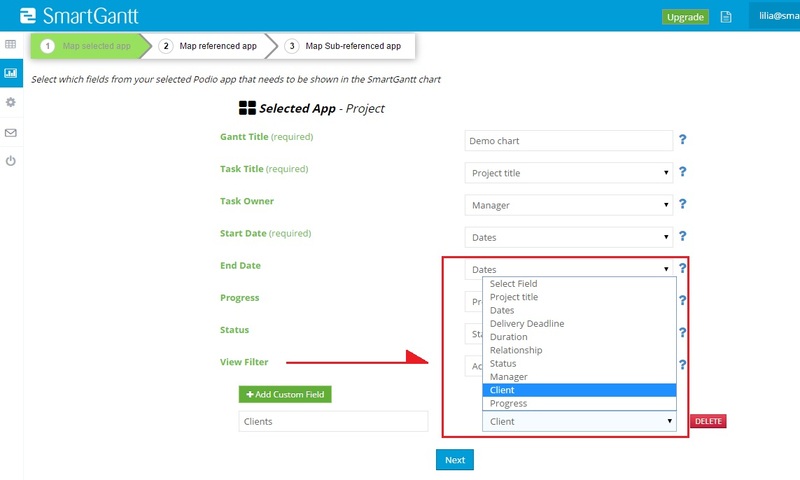 Start date – Choose the field within your app that specifies the start date of the app. 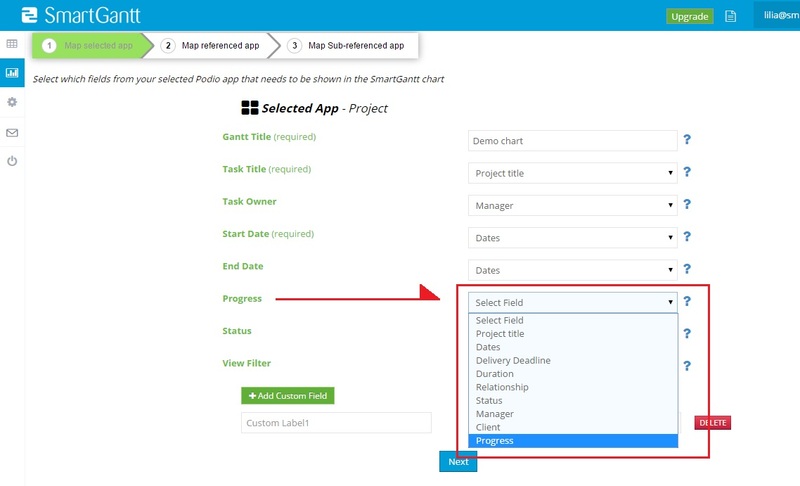 End date – Choose the field within your app that specifies the end date of the app, this is not required but if your item has no end dates, it is displayed as a diamond-shaped Milestone. 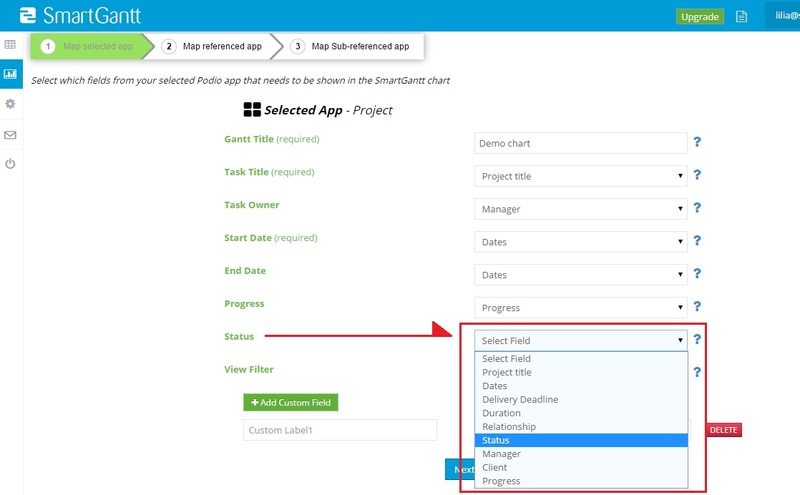 An item needs start and end dates to be displayed as a bar. 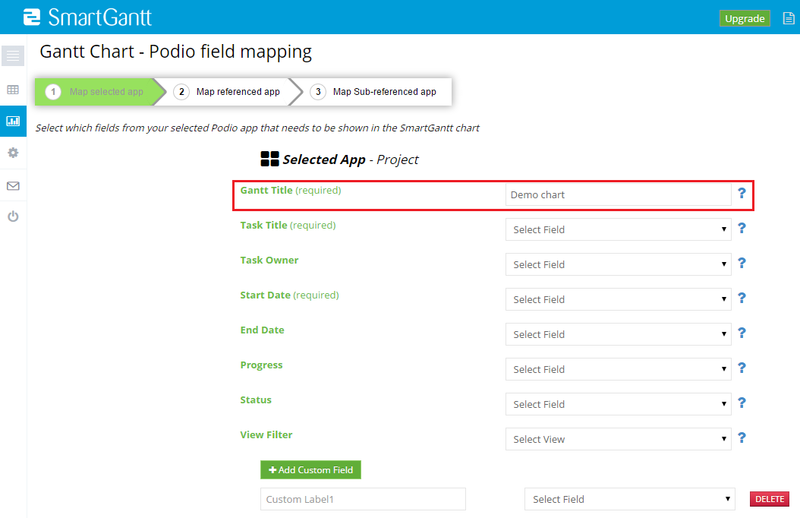 Progress – If you have a field for progress in your Podio app, SmartGantt creates an interactive progress bar so you can track and visualize your progress. 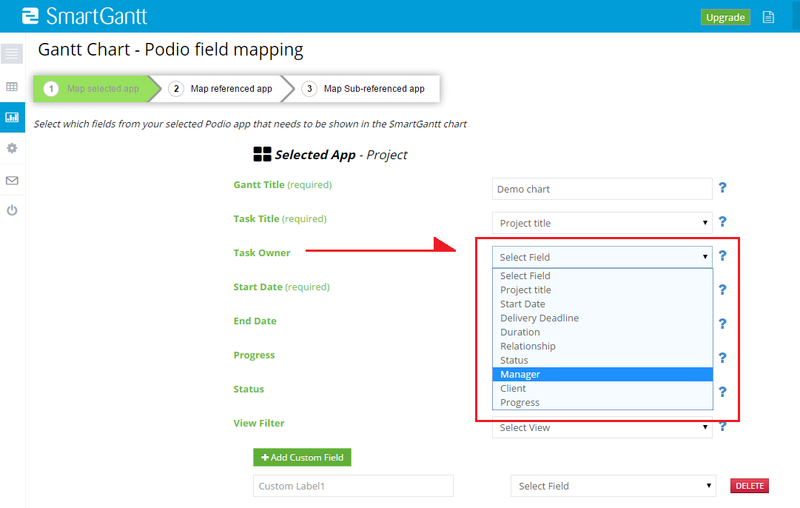 Status – If you use statuses inside Podio, you can map these in SmartGantt. The statuses will appear inside the bar. 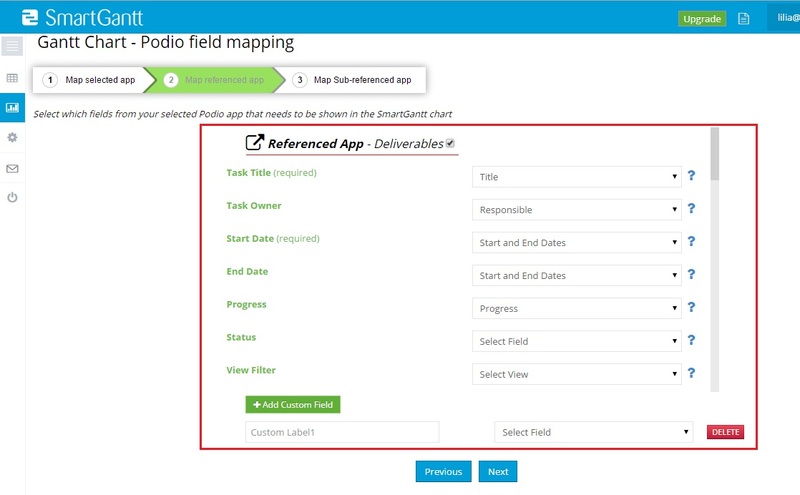 Mapping referenced apps is the same as above. 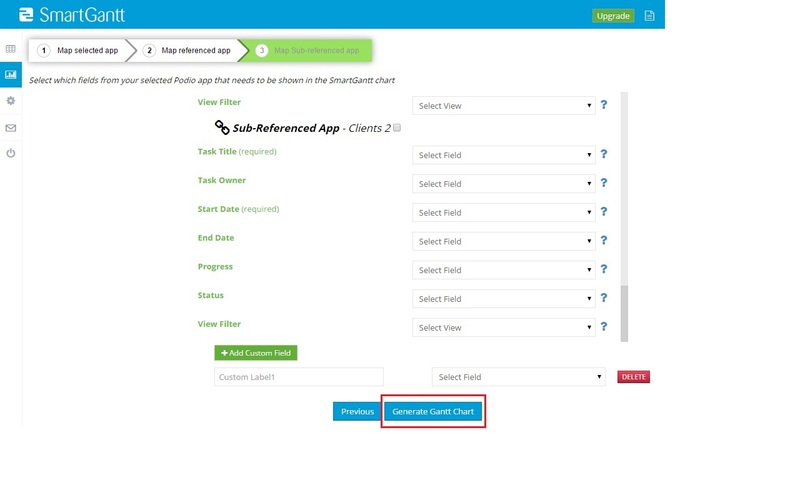 Referenced apps need a relation to the first app, this means that at least one item in the referenced app has a relation to an item in the first app, in order to appear in the chart. 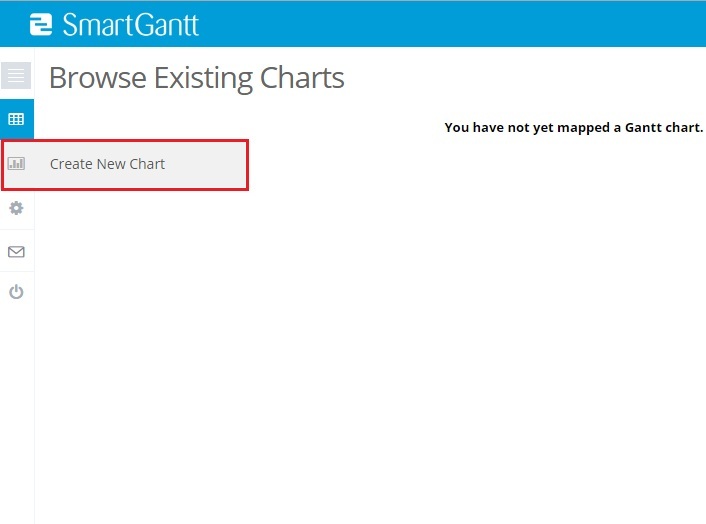 This is the third and last level in SmartGantt. These items will appear beneath the referenced apps. This app needs to carry a relation to the referenced app. Mapping is the same as above. 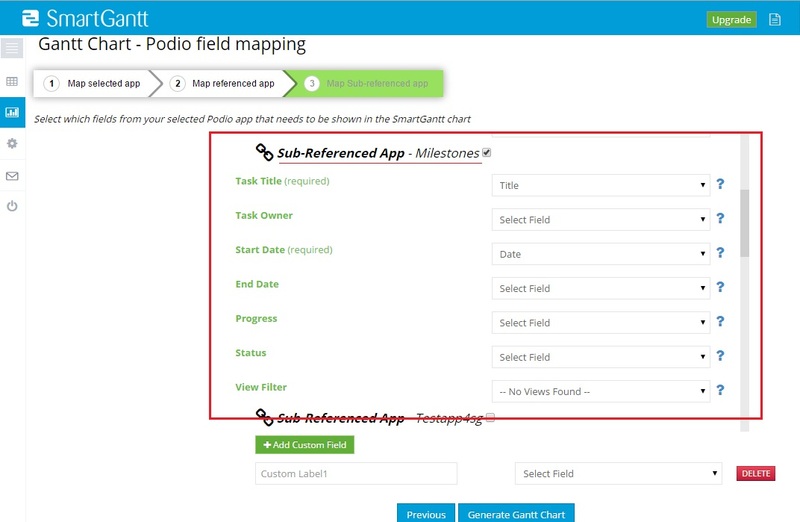 Take Project Management in Podio to the next level by utilizing the Power of SmartGantt. 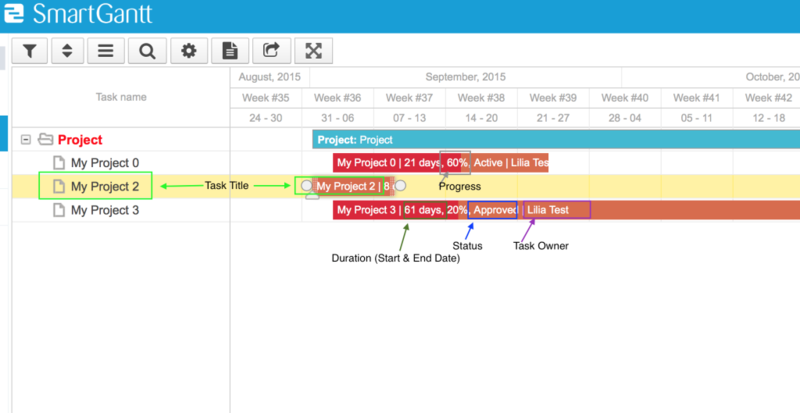 Get better overviews, enjoy the ease of planning and faster changes of e.g. dates with SmartGantt. 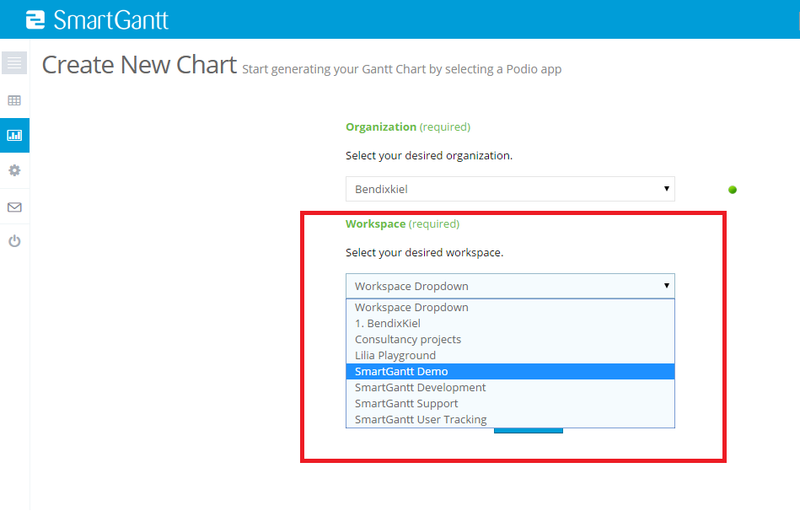 Increase the power and ease of working with projects in Podio by using SmartGantt together with Podio. 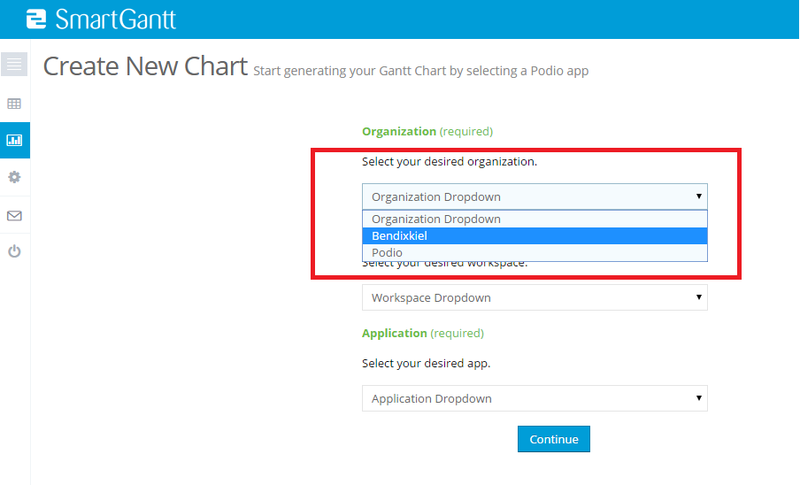 SmartGantt for Podio – What is Podio? 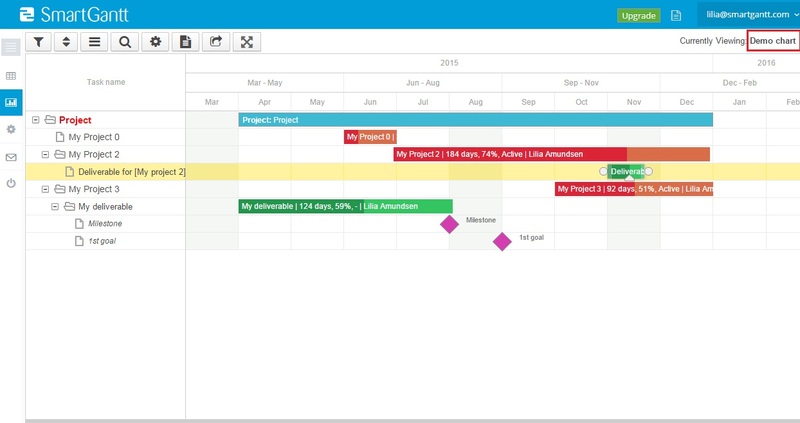 Podio, now part of Citrix Systems, is an online work platform with a new take on how everyday work gets done. 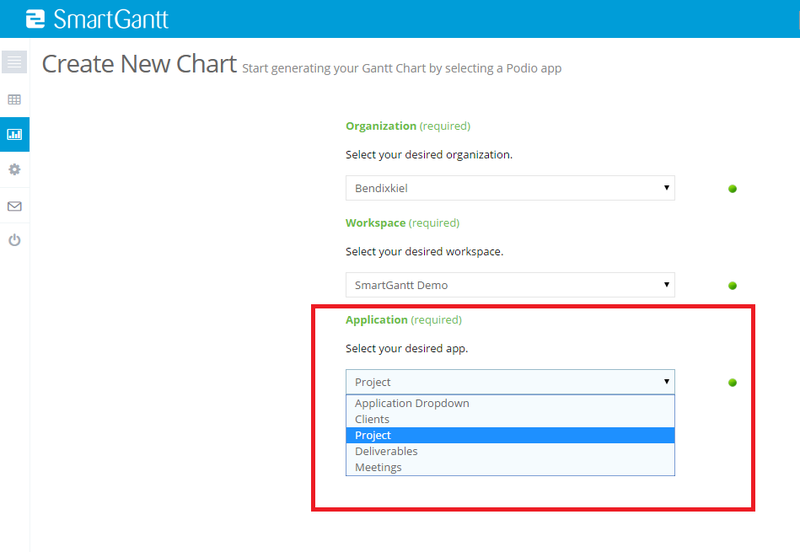 SmartGantt is developed by BendixKiel ApS, a Podio Preferred Partner and Citrix SaaS Partner.